Running is one of the most common forms of exercise that people adopt into their workout regimes. Providing time to think that can be extremely beneficial to mental health, and a level of cardio that is great for maintaining a healthy physical lifestyle. Running can provide an even broader number of health benefits when incorporated into your workout routine including, aiding in weight loss, boosting confidence, working to relieve stress, eliminate depression and prevent disease. With thousands of running trails all over the world and indoor equipment like treadmills available, running is an exceedingly easy form of exercise to integrate into your regular workout routine. However, depending on the type of running you are performing there are some considerations that you should take before adopting it into your daily exercise practices. 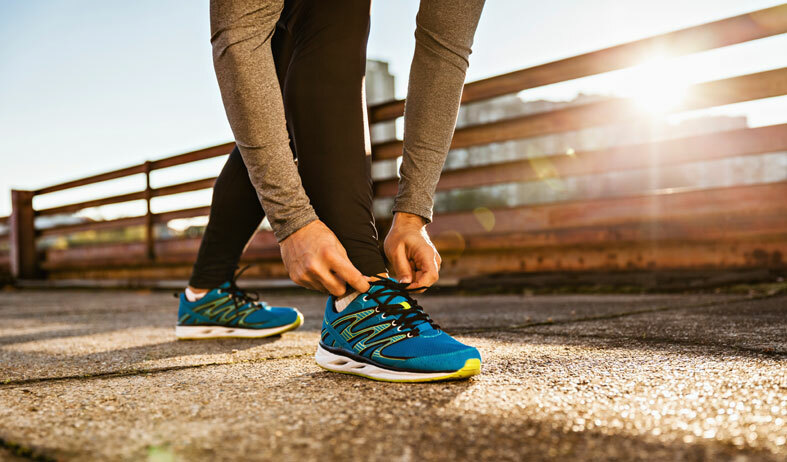 Perhaps one of the most careful considerations that needs to be taken before adopting a regular running routine is in regards to the type of footwear you choose to wear when going on a run. Primarily these can be broken down into two key categories and understanding the differences between the two can help you to make an informed decision about what type of footwear is right for you and your exercise routine. Firstly, there are cross fit shoes. This type of footwear is designed to optimize balance making them ideal for cross fit style workout routines where movements are changing quickly and rapidly. These shoes are important in helping to maintain form while working through different and constantly changing movements, and are overall built to be able to withstand many rigorous workouts that other forms of running shoes may not be able to tolerate in the same manner. You can read some reviews of good quality crossfit shoes on Best Womens Workouts. Secondly, there are trail running shoes, these running shoes have some distinct differences when compared to their cross fit counterparts. Primarily this difference comes with the rugged terrains that trail running shoes are developed to endure. Compared to most other running shoes, shoes for trail running are designed to be used on rougher terrain meaning they are often heavier and designed to more aptly support and protect your feet from off road terrains. As a result, it is clear that wherever you are running it is important to consider the type of terrain and running you are doing before making a decision about the footwear that you want to include in your routine. With cross fit shoes more appropriately designed for smoother terrain and rapid movement, trail running shoes are best equipped for rough terrain where your feet require better protection from the elements and unbalanced ground. Understanding the type of running that you like best as part of your regular workout routine is the first step in making sure that you are choosing the best footwear for you. Running is one of the most popular forms of cardio exercise and with so many different ways to introduce it into your workout routine its no wonder so many fitness lovers are obsessed with this practice.